Thought I would share a quick pic from the hotel we stayed at last week in MN. 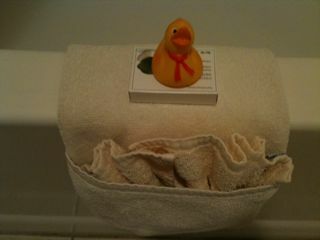 I’ve never had a hotel give me a rubber ducky before and thought this was hilariously awesome!!! So, now that I’m kind of in-between things, my schedule has opened up a bit for me to help out different churches as they’ve got the need. Recently I’ve had the opportunity to get to know David Bauer, worship leader for CCS (Christ’s Church of Scottsdale) and this weekend I was able to give him a small reprieve and lead in his place. It was treat to play with the guys in the band at CCS. Pro players who were just a blast to hang out with. Thats one of the things that I’ve really enjoyed in my time as a touring artist, getting to connect with so many great players. I’ve also had the pleasure of working with a lot of not-so-great players too…but that’s a story for another day. Hope your week is filled with rubber ducky’s!